Director Richard Trank follows up 2013’s The Pioneers with part two of his The Prime Ministers documentaries, Soldiers and Peacemakers, a less theatrical but equally determined look at Israeli history. In truth, it is a film which stretches the definition of “documentary” to the breaking point. Calling it a lecture or presentation might be more suitable, as it consists entirely of thoughts from Israeli diplomat and author Yehuda Avner punctuated with historical still photos and news footage. Trank eschews the celebrity voiceovers he utilized in The Pioneers for a more basic approach, which amounts to both a positive and a negative. While there’s no distracting gimmickry of Sandra Bullock providing the voice of Golda Meir, hearing from anyone other than Avner eventually becomes long overdue. 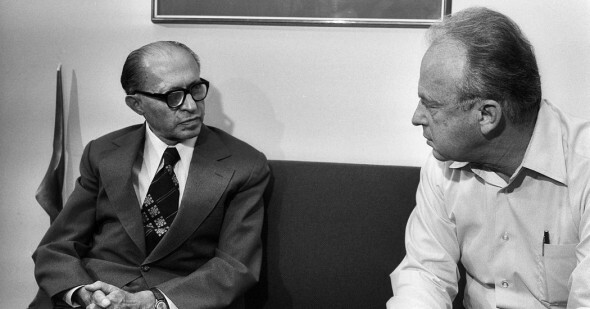 From the creation of separate Jewish and Arab states in 1947 to more latter-day tensions with Syria, Avner, and only Avner, dissects how the different Israeli Prime Ministers have made their historical marks. That’s not to throw shade at his credentials, but when you hear Avner stress how complicated the Middle East situation is, you realize a great way to illustrate that would be to include other viewpoints. Trank doesn’t, and Soldiers and Peacemakers becomes a detailed, overlong sermon to the choir.